MACN is a member-led initiative operating under BSR, a global business network focused on sustainability. BSR (hereafter referred to as “MACN Secretariat”) provides the Secretariat function for MACN. The MACN secretariat is responsible for progressing with MACN’s strategic workplans (including MACN’s 2020 strategy), ensuring good governance, and managing MACN’s day-to-day work, including with its members, third parties, and funders. For more information about BSR, please visit the website. MACN is led by one full-time Program Director, and is supported by five BSR staff members with part-time involvement. Cecilia leads MACN. She was one of the front drivers for its establishment in 2011, and has served as chair of the network and as collective action lead in the MACN Steering committee. Cecilia is an experienced anti-corruption specialist. Prior to joining BSR, Cecilia built more than eight years of compliance and shipping experience by working in-house as senior compliance officer in the Maersk Group. She has been responsible for anti-corruption efforts globally; trained management and staff worldwide; implemented whistle blowing systems; rolled out country-specific anti-corruption campaigns; and conducted risk assessments, audits, and misconduct investigations. In 2015 she was awarded Compliance Officer of the Year by C5 Women in Compliance Awards. She speaks English and Swedish, and holds a Master of Laws from Lund University in Sweden. Angie leads BSR's Transport and Logistics practice, working with companies across the global transport and logistics value chain. She leads the strategic and operational oversight for BSR’s global portfolio of more than 20 collaborative initiatives. Angie led the team that initiated MACN with the founding members in 2012, and worked with the steering committee as the project director to evolve and grow the award-winning initiative since that time. Today she acts as a senior advisor to the MACN program director and the steering committee and specifically leads the collective action project in Argentina. Angie has more than 15 years of experience working with leading companies and stakeholders in the sustainability field. Previous to BSR, she worked at Deloitte Touche Tohmatsu and Andersen in London, where she provided strategic advisory and sustainability report assurance services to companies across sectors. As a member of the MACN Secretariat, Martin leads some of MACN's collective action work in Egypt and Indonesia, and engages with multilateral and bilateral donor agencies to gain support for MACN's country-specific efforts. Martin is also responsible for managing MACN's incident reporting system and data collection. Prior to joining BSR and the MACN Secretariat, Martin worked for an international consulting company that provides technical assistance in the sustainable energy field to donor agencies worldwide. He has also interned with the United Nations Population Fund and the Swedish Foreign Ministry. Anna provides operational support for MACN. This includes arranging working group calls and meetings, following up on MACN activities, and supporting and leading recruitment efforts. Anna is also the lead organizer for MACN’s biannual meetings. Before joining BSR, Anna worked at MADE-BY, a European nonprofit organization with a mission to make sustainable fashion common practice. 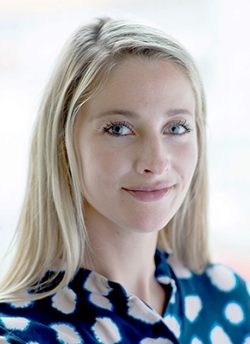 At MADE-BY, Anna managed both the Amsterdam office and partner brand relations. She also facilitated workshops and events and developed sustainability strategies and policies. Dominic provides communications support for all of MACN's activities. This includes sending MACN's monthly newsletters, writing and editing blogs and external articles, developing communications material for members, and managing MACN's online presence. Before joining BSR, Dominic worked in the global communications team at ICLEI - Local Governments for Sustainability, where he managed the blog, implemented digital strategies, and provided writing and editing services. Prior to this he worked as an editor and social media coordinator at the Rachel Carson Center for Environment and Society.